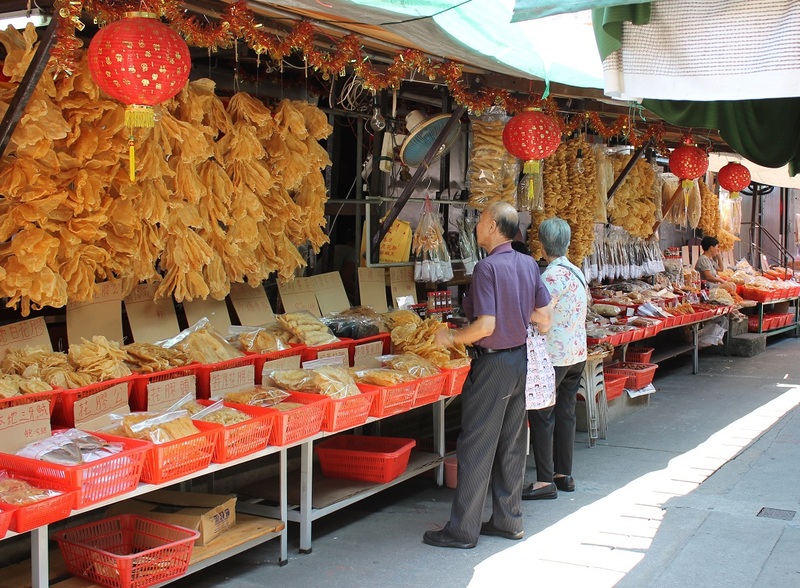 I visited Tai O fishing village last Tuesday while I was waiting for my passport in Hong Kong. If you want to see a different side of Hong Kong you should visit this charming place on the Lantau island. You can take the metro to Tung Chung station and take a bus number 11. 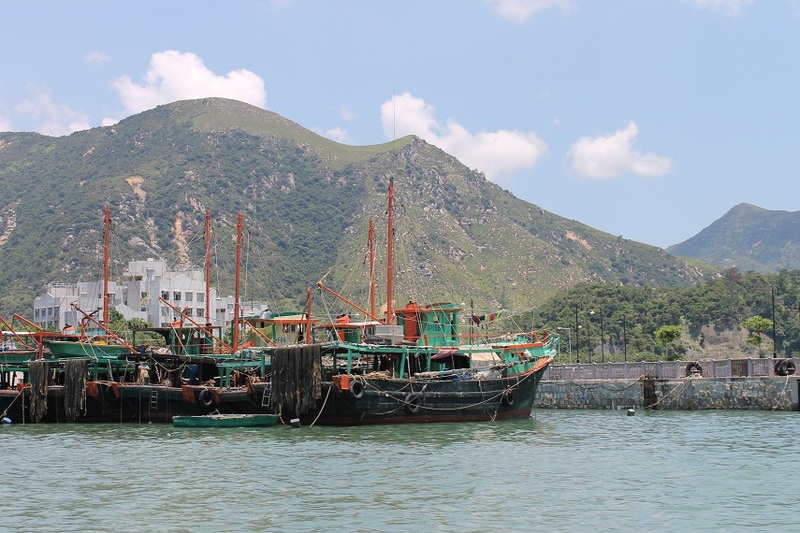 You can also choose to take a ferry from Central to Mui Wo and then bus number 1 to Tai O village. Tai O is the place for seafood lovers, but unfortunately I’m not one of them. Even the smell of dried fish is little bit too much for me. But there is also much more to do at the village than eat. Sea, mountains, local people, culture, old buildings. 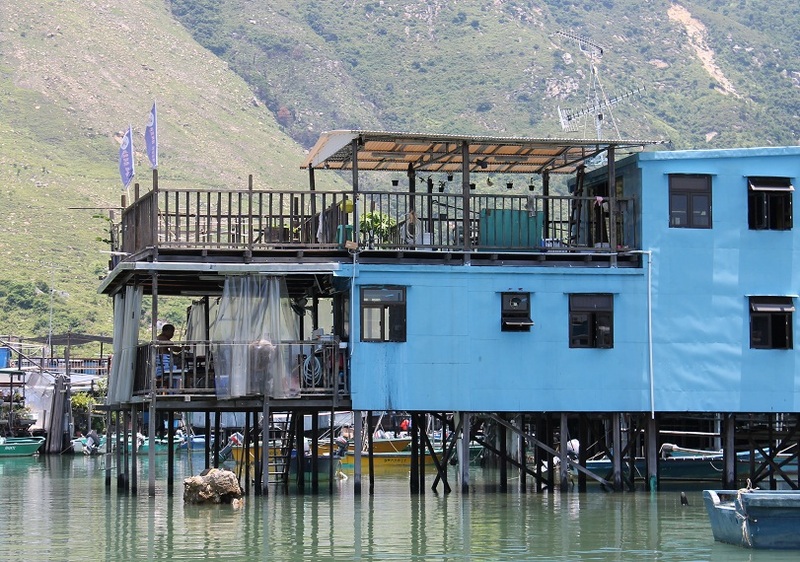 Tai O has it all! Some people are living in traditional stilt houses called pang uk. According to Wikipedia “pang uk were evolved from boat houses of Tanka or fishing people, after moving to reside on land”. 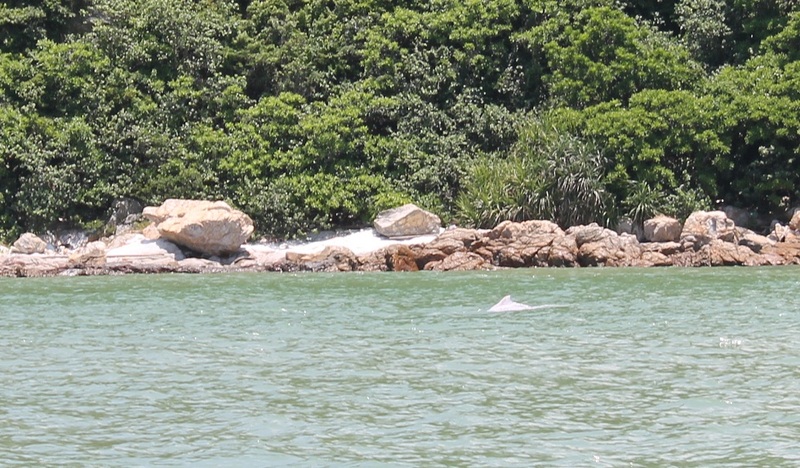 For 20 HKD (16,50RMB, 1,80EUR) you can take a quick boat trip to see some dolphins. We were lucky to actually see two or three of them, but they were far away and this is the best photo I got (look above). It was the first time I have seen a dolphin in the nature so it was really exciting! If you are living or visiting Hong Kong, give Tai O a chance. It’s a lovely village, but if you want to, you can manage it in a hour or two (plus bus and metro). Or have you been there already? Some really nice pictures, Sara. 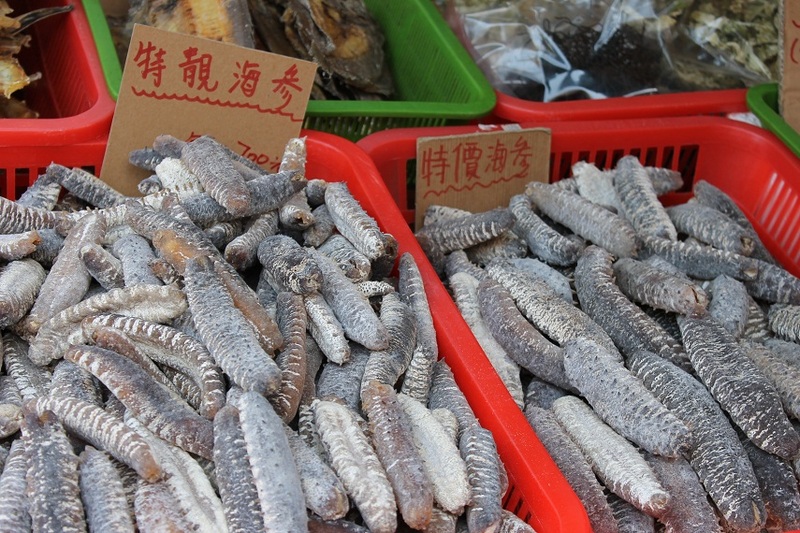 Those are sea cucumbers if I am not mistaken. Can be quite expensive here in Malaysia and especially favoured by the Chinese as a delicacy. The Malays here use them as a medicinal tonic. 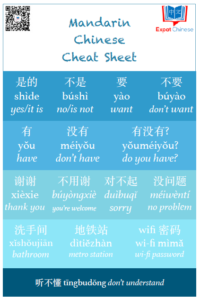 Seems like that all those delicacies that Chinese people like, especially people here in Guangdong, are quite odd to my eyes and taste. In Finnish we call those merimakkara, sea sausage. I should keep this place in mind. You really gave the photos justice with the photos; it made me want to go. That is the best thing to hear Eileen! Hope you have the change to visit Tai O, it’s one of my favourite places now in Hong Kong.